The pressure to become an ideal Muslimah is overwhelming. On September 4, 2012, I embraced Islam after much studying, reflection, and prayer. When I professed my shahada, I felt emboldened by my ability to stand up for my beliefs, no matter society’s reaction. The euphoria was short-lived. At first, I felt genuinely touched and overwhelmed by all the excitement Muslims showed towards my conversion. I did not mind the introductions, being paraded around, and asked for my story. I listened attentively to each well-intentioned sister who advised me how best to alter myself to fit my new life. I forgot what attracted me to Islam in the first place – free will and a long-standing decree for all believers to seek knowledge and answers. I lost ownership of my journey and identity. Being a woman, so much emphasis was placed on appearances. 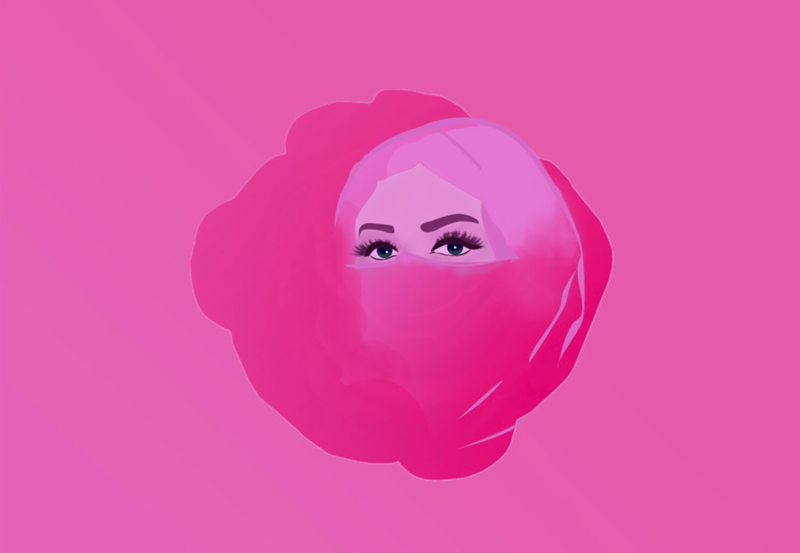 The mind, soul, and heart were abandoned in pursuit of the perfect hijab. I attended a New Muslims’ class at my local masjid for a few months. When the men and women were together, a very knowledgeable brother led us in Arabic-heavy discussions on the finer points of tawheed and aqeedah. Although I appreciated the academic rigor of the class, much of it went over my head as I had no background in Arabic. For the second half of the class, the men and women separated. The men, to learn Arabic and Qur’an, while the women repeated the same lectures on hijab, halal foods, and how every holiday you ever knew and celebrated is haram. It’s not that there wasn’t any value in the women’s class, but I often wondered why we were not learning Arabic and Qur’an too. I listened to how to be the ideal wife and Muslimah, while the tool I most needed on my new path was left out of reach. The Qur’an is the heart and soul of Islam. I have struggled immensely to develop a deeper connection with it as I was left largely alone to comprehend, and to recite the Book of Allah. My personal disconnect with the Qur’an is one of the reasons leading up to my religious crisis. After years of blindly trying to follow every hadith, cultural norm, Qur’anic verse, and fatwa thrown my way, I had a crisis of faith. Why am I Muslim? What do I believe, think and feel about this religion? I’ve encountered many converts who’ve also reached this stage. You become so used to being told what you should think and feel, that you forget to ask questions, do research, and form your own opinions. I became afraid to even voice my ideas or concerns because they were so often shut down. Just a simple question can land you into haram police territory or, even worse, people will question if you are a believer, or if you have any iman. Some may argue that this experience is not necessarily unique to converts. Naturally, there are a variety of scenarios for all types of people experiencing feelings of being controlled, isolated, or silenced. However, this does not negate the Muslim convert experience. Nearly every Muslim convert I’ve met has shared a very similar experience to mine. As a community, we need to stop fetishizing converts and pressuring them to hold to ideals that no other Muslim is expected to perfect. We need to allow people to explore their faith, and to have equal opportunities to develop a personal relationship with the Qur’an. I might falter along the way, but it’s our imperfections and desire to learn which most shape us.